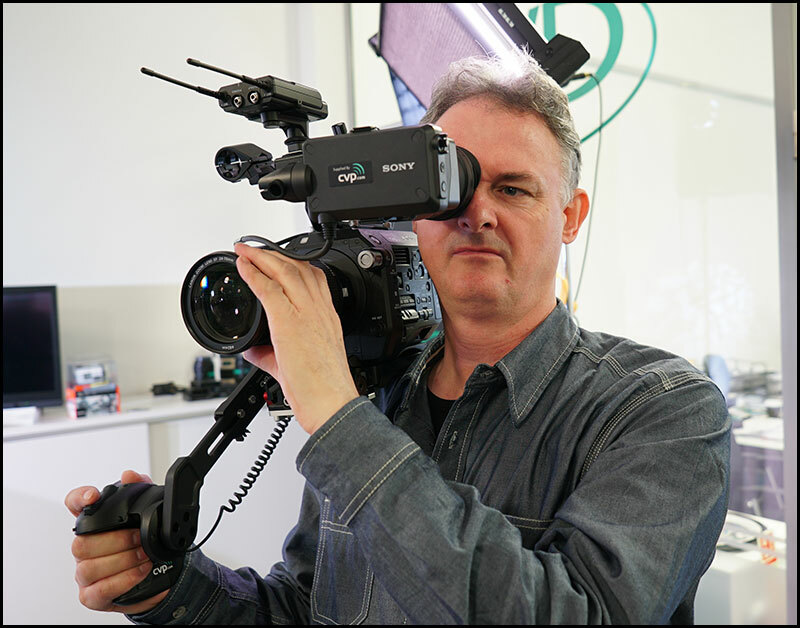 Today I went over to CVP to see the new Sony PXW-FS7 camcorder and to try it on my shoulder. First thoughts…Sits well on the shoulder and the strange pistol grip will be an asset with the Sony FE 28-135mm f4 G PZ OSS lens, CVP had a Canon and a Carl Zeiss lens for the camera because the Sony servo zoom lens is not yet available. 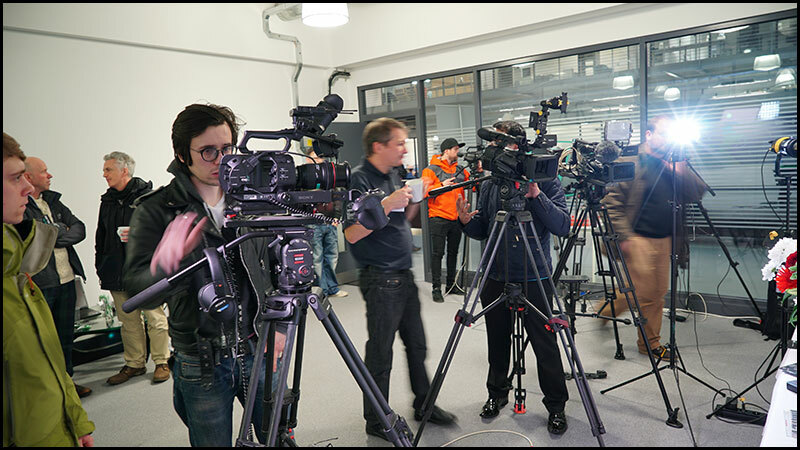 There was a constant stream of interested production crews looking at the FS7. This was CVP’s own demo camera and the viewfinder is nice and sharp, the hot shoe allows the Sony SMAD-P3 adapter to power the new D11 radio mic receiver as seen on the camera. We also saw the Metabones electronic lens adapter being used with both Canon EF lenses and Carl Zeiss lenses. 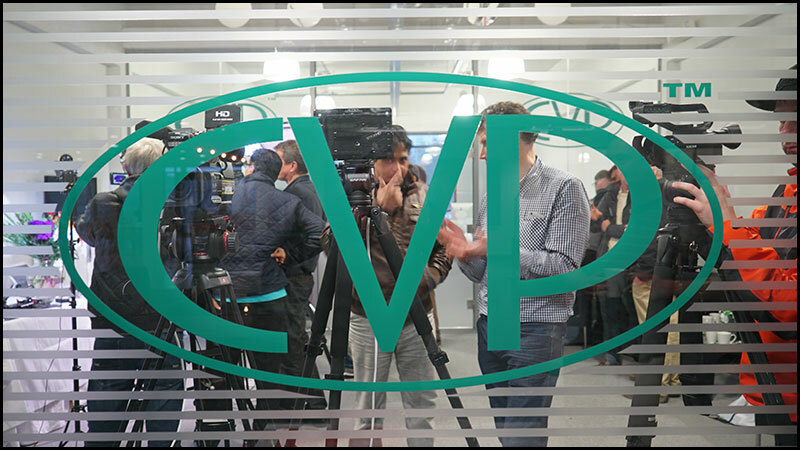 A good day had by all and my thanks as always to Colin and Danny for their hospitality at CVP Glasgow. 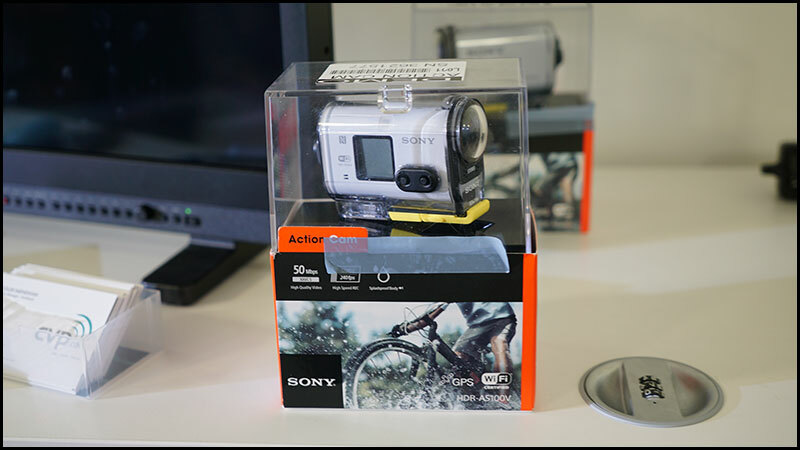 This wee chap was sitting on the sidelines the Sony Action Cam…I thought I had this on order from Sony for buying the PXW-X70 but I have had a few readers telling me that they can’t finish the web order process to claim the camera, mic or radio mic receiver. Sony need to look into this as professional customers are being denied the FREE goods that they are entitled to. Out and about with the Panasonic HC-X1000 in 4K mode today. In 4K mode 3840 x 2160 50P at 150MB/s you get truly stunning HD pictures almost the best I have seen out of a 1/2.3″ sensor. 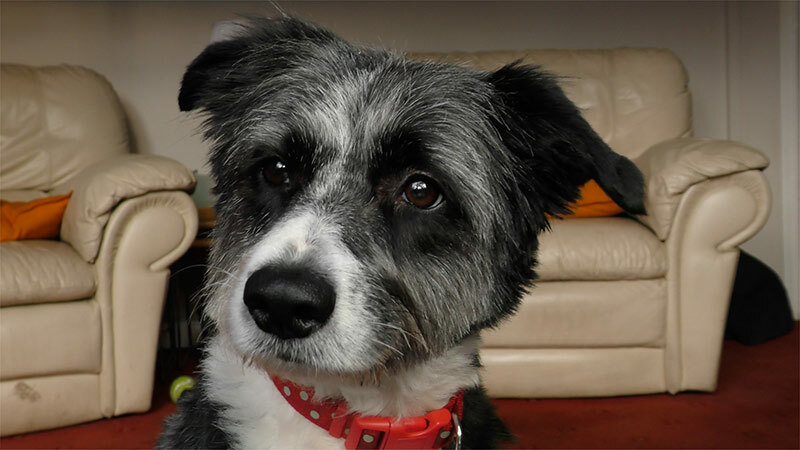 This is a video still of one of my dogs and not only are the colours accurate but the lack of noise reduction seen in many 1/3″ cameras is fantastic. This wee camera is out performing many 1/3″ cameras twice its size though remember it has a 1/2.3″ chip…in 4K alone, I have a few more tests and filming to do plus I am keen to see how it performs in HD 200MB/s mode. I am ultra impressed with the 4K 50p pictures on the HD timeline, this is a common theme with 4K capable cameras giving you wonderful HD pictures but the 50p mode is a killer, not many 4K cameras produce 50p pictures and Panasonic have cracked it with this blend of stunning 4K 50p and a little known secret 4:2:0 8bit pictures. 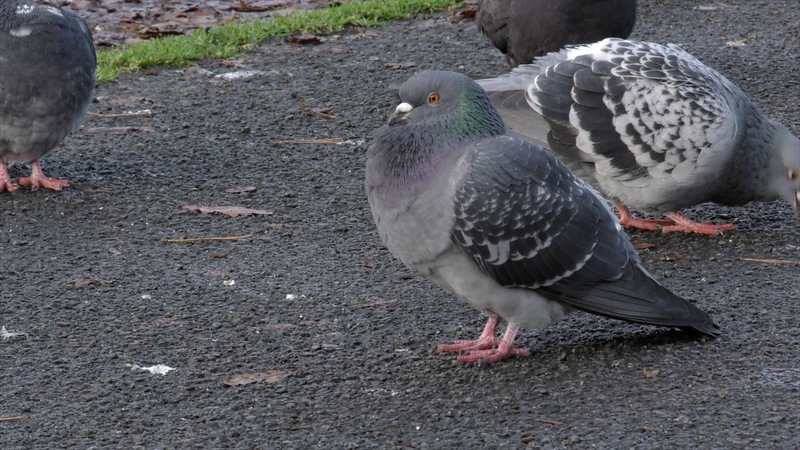 Double click on this pigeon to see the 1920 x 1080 still frame. 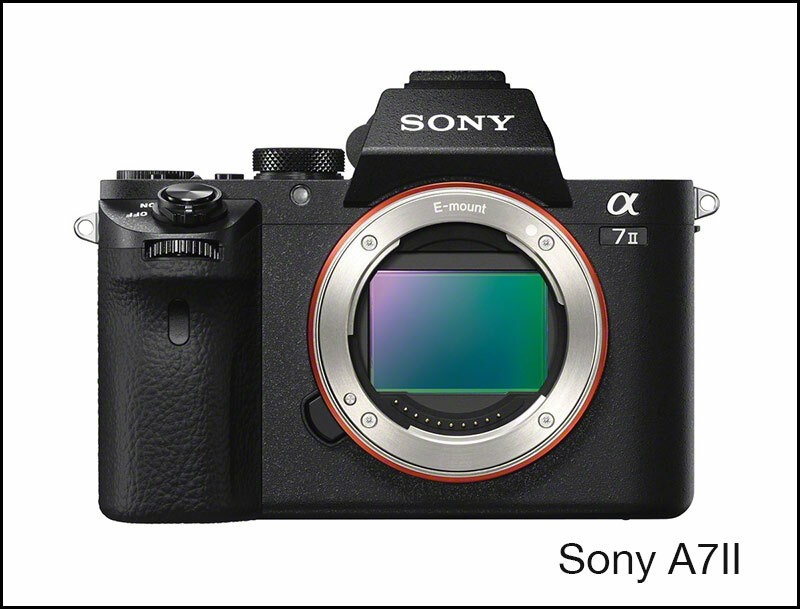 The camera offers outstanding image quality in a compact size and light build, and it carries on the traditions of the α7 series, which includes the world’s smallest and lightest interchangeable-lens full-frame camera (α7R). A 24.3 effective megapixel 35 mm full-frame Exmor CMOS sensor moves along five axes to compensate for camera shake, providing optical image stabilization equivalent to up to 4.5 steps faster shutter speed of correction for still images. 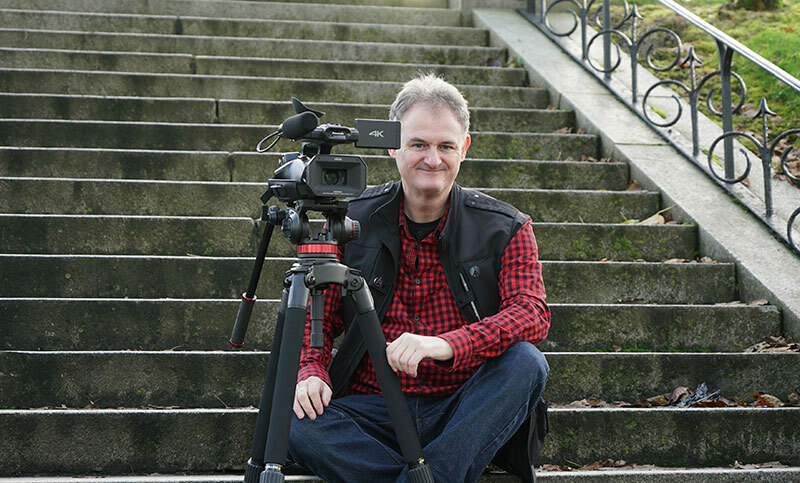 Shooting sharp handheld stills and video is now possible under conditions that may have required a tripod in the past. In this and other scenarios, users can enjoy beautifully rendered images from the full-frame sensor with the convenience of image stabilization. In-camera image stabilization also offers sharper images for those using A-mount lenses on an optional lens adapter. Detects and corrects various camera shake along five axes for still images and video, including angular shake (pitch and yaw) that tends to occur when shooting with a telephoto lens, shift shake (along the X and Y axes) that becomes noticeable as photographing magnification increases, and rotational shake (roll) that often affects shots at night or when recording video. 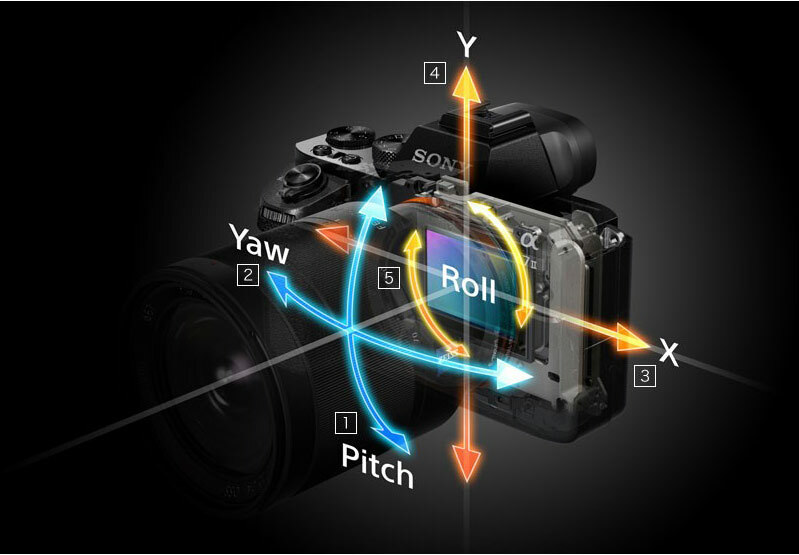 The full-frame image sensor moves to compensate for these kinds of camera shake. For still images, stabilization is equivalent to up to 4.5 steps faster shutter speed of correction. Handheld low-light shooting at slower shutter speeds becomes possible, allowing for greater creativity and mobility without the need for a tripod. The camera’s in-body image stabilization is therefore effective even in combination with E-mount lenses without Optical SteadyShot (OSS). For A-mount lenses as well (using an optional mount adapter such as LA-EA4 or LA-EA3), camera shake is compensated for along five axes within the camera body. Users can thus make the most of the beautiful rendering power of various α lenses with the α7 II. Monitor the corrected image in real-time on the camera’s LCD screen or in the OLED viewfinder, thus allowing for fine-tuned framing and focusing even when using a telephoto or macro lens. 117-point focal plane phase-detection AF sensor and 25 contrast detection AF points are placed over a wide area of the screen, making use of the superb tracking capabilities of the phase detection AF and therefore enabling clear capture of moving subjects that might otherwise evade focus. A more advanced algorithm is used to detect the subject position, enabling optimal lens drive. In a variety of scenarios, autofocus is very responsive – 30% faster than in previous models. An improved, original Sony algorithm for the prediction of moving bodies results in a 1.5 times improvement in performance in tracking a subject and predicting its next movement. Additionally, AF and automatic exposure (AE) continue to track the subject during high-speed continuous shooting (up to 5 fps), so that a sudden movement or expression of the subject is never missed. Finally, greatly improved tracking ability and subject capture are made possible through the advances in image analysis technology with “lock-on AF,” a feature that optimizes focusing on the subject in accordance with its size. The camera is equipped with a full-frame Exmor CMOS image sensor with approximately 24.3 effective megapixels. High resolution and larger pixels enhance sensitivity and reduce image noise to release the full potential of lens’ optical performance. Images are rendered beautifully and bokeh effects attainable only with full-frame sensors become possible. Loaded with an advanced BIONZ X image processing engine. The fast processing enabled by this engine enhances images in several ways, through “detail reproduction technology,” which recreates natural-looking textures even in the minute details of an image; “diffraction-reducing technology,” which prevents loss of detail when aperture stopped down; and “area-specific noise reduction,” which greatly reduces noise while maintaining exceptional detail and texture even under low light conditions such as night time and indoors. In addition to recording in AVCHD Ver. 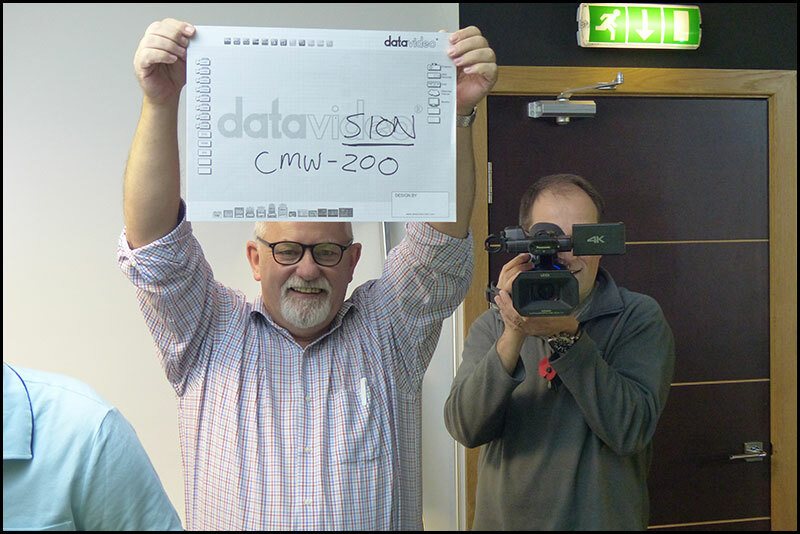 2.0 Full HD (1920×1080) 60p (50p)/60i (50i)/24p, the camera records in XAVC-S, a consumer format derived from the professional XAVC format. This offers outstanding Full HD video quality at a high bit rate of 50 Mbps. Long GOP compression is used, targeting differences between frames, along with the MPEG-4 AVC/H.264 codec for video. Regarding audio recording, linear PCM is used and files are saved in the MP4 format. Picture profiles enable convenient in-camera tone adjustment. 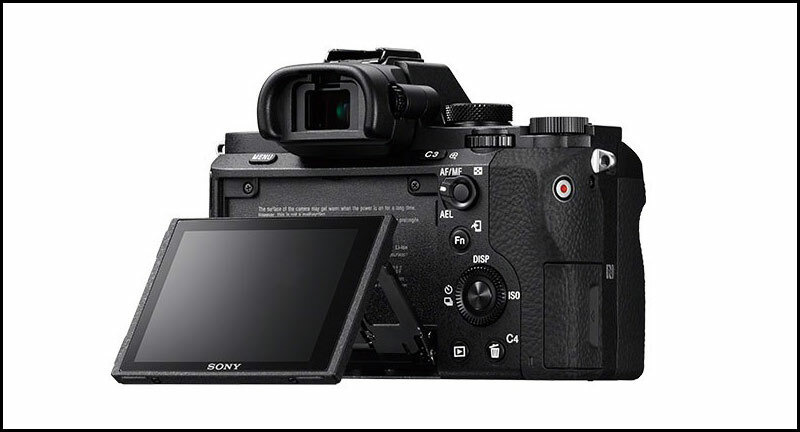 The α7 II also supports the S-Log2 gamma function, which preserves a wide dynamic range, and a wide S-Gamut mode. Other features include Time Code/User Bit (useful in editing), Rec Control (for synced recording with compatible external recorders), marker display/settings, and dual video recording. Grip shape and height keep the camera steady even when using a large telephoto lens. The shutter button has been shifted toward the front, to a position that feels more natural. 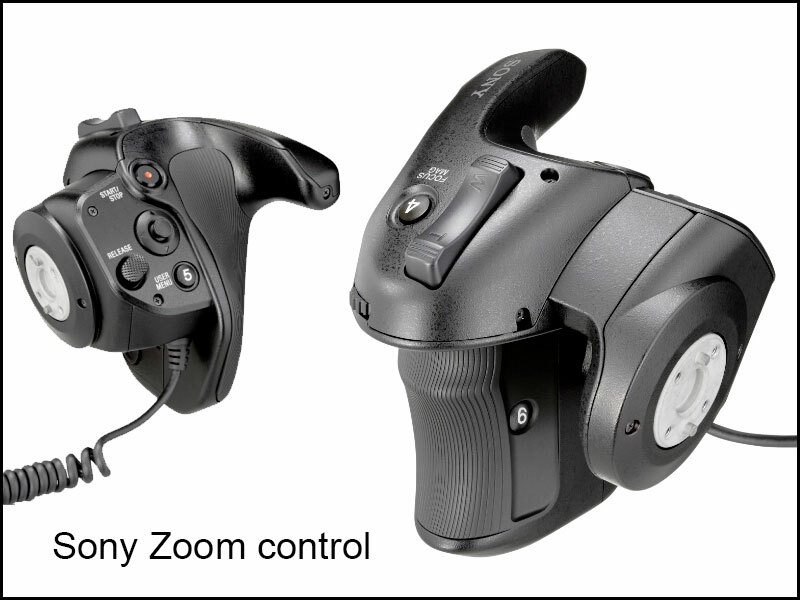 This, along with the button’s increased size, helps reduce camera shake. Shooting comfort and convenience were a priority in design. Ten customizable buttons can be assigned to any of 56 functions. The tilting display features a White MagicTM LCD screen for exceptional visibility even under bright sunlight. 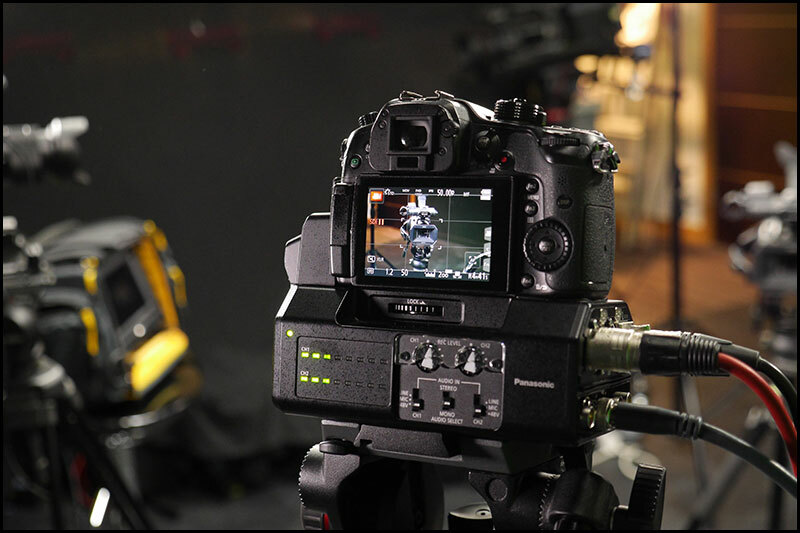 An XGA OLED Tru-Finder viewfinder with a 2.36 million dot equivalent resolution and high contrast, enabling faithful reproduction of setting adjustments, fine-tuned focusing using magnified display or peaking features, and bokeh effects. The viewfinder also allows for clear review of previous shots. Because the camera is fully APS-C-compatible, it displays the entire view even when APS-C lenses are used. Sturdy magnesium alloy construction of the top, front cover, and internal structures ensures that the camera is both durable and light. The robust mounting structure easily handles large telephoto lenses, heavy video lenses, and many others. Main buttons and dials are also sealed to help keep out moisture and dust, and an interlocking double layered construction of media and port covers as well as body seams ensures greater moisture and dust resistance. Overall, the camera is designed to be used by photographers in any number of situations without having to worry about the safety of their cameras. After the camera is switched on, it is ready to shoot 40% sooner than current models. Over two years in the making, Zacuto brought five different engineering companies together to bring this newest EVF concept to life. The Gratical HD Micro-OLED electronic viewfinder uses an extremely powerful FPGA dual core processor and Zacuto designed Micro-OLED displays to provide a hugely expanded contrast range. 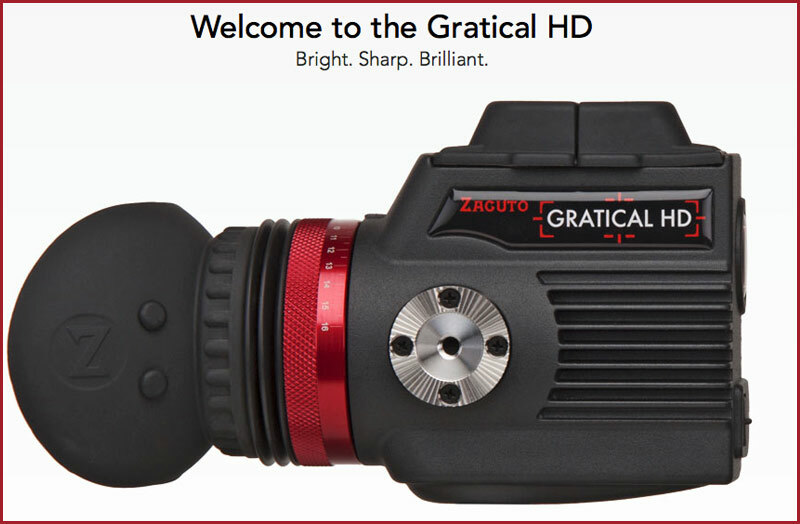 Gratical HD Product Update from Zacuto on Vimeo. 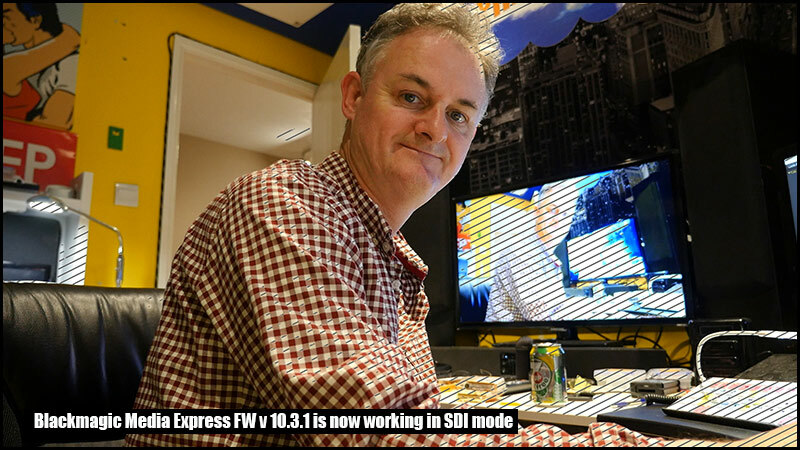 We are now running Desktop Video 10.3 and once again this software version of Media Express v3.3.1 does not allow any SDI or HDMI output to the Media Express viewer. I have two cameras producing 1080 50p outputs from both SDI and HDMI and none of them show up on the Media Express browser window. 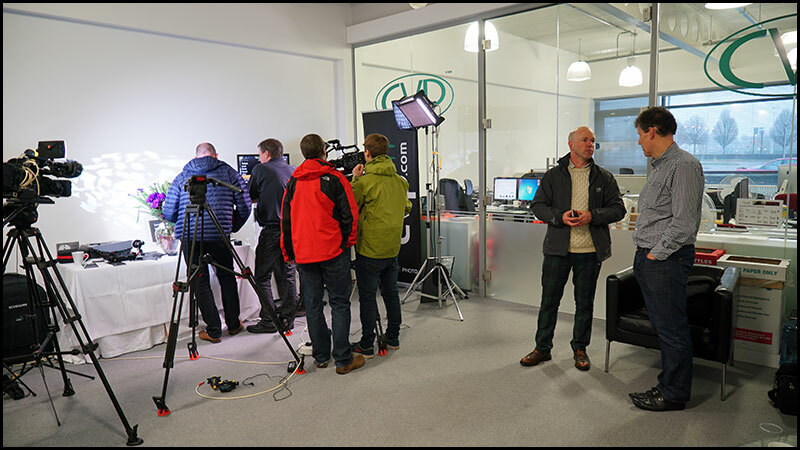 I phoned Blackmagic’s UK division who were aware of the problem in fact the chap had set up this very scenario yesterday and confirmed the problem. Hopefully BM will offer us a solution within the next week and bring back the much needed functionality Media Express. 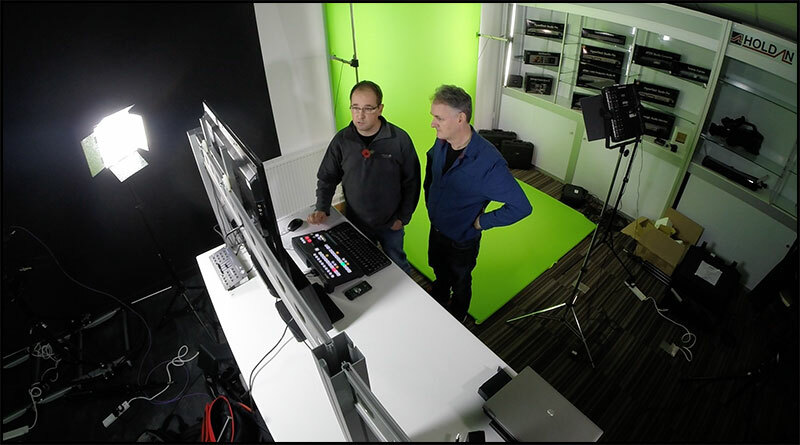 Media Express for those of you who do not own a Blackmagic device allows you to capture analogue footage like Beta SP, HDV etc transcoding the footage for use in FCPX. 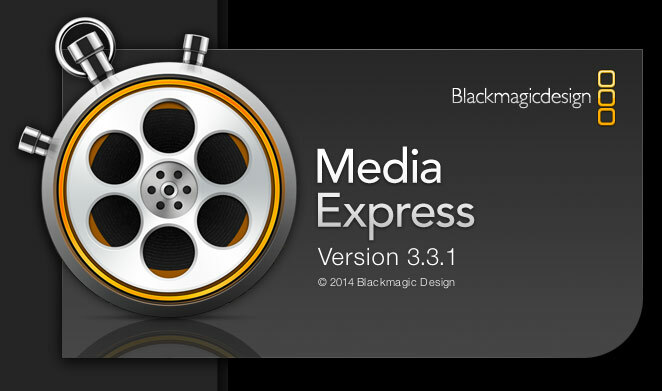 Finally Blackmagic restore Media Express (ME) to its former glory in FW v 10.3.1 just out today (Thursday 20th November 2014) ME = 3.3.2. I tested both SDI and HDMI with sound and pictures. I can’t say too much about this at the moment but we had a great time down at Holdan in Glossop during the week. This is a GoPro still from one of 3 cameras filming Tony and me. 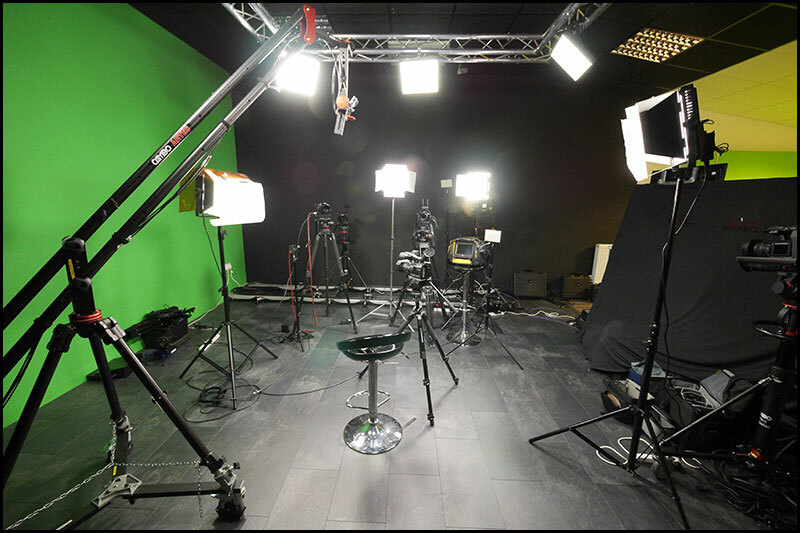 Holdan’s have their very own production studio along with a DMX lighting gallery, a Cambo Jib to die for where I placed our GoPro and a Cambo tracking dolly. 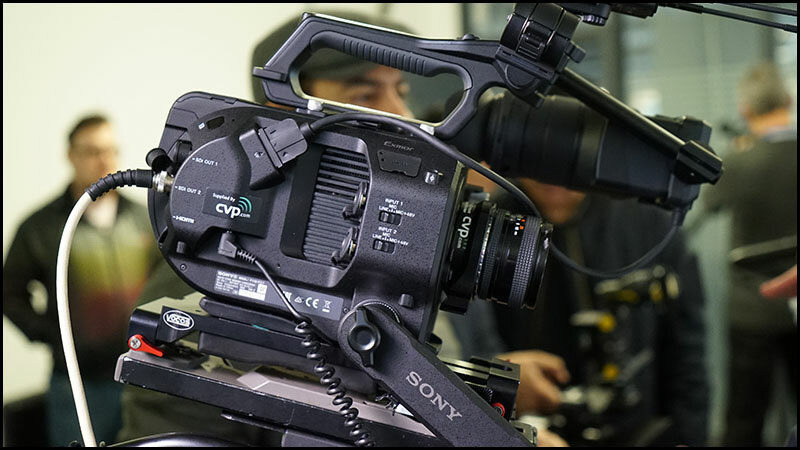 The GH4 with YAGH worked a dream alongside the Sony A7s and the Sony PXW-X70 mounted on the tracking dolly. 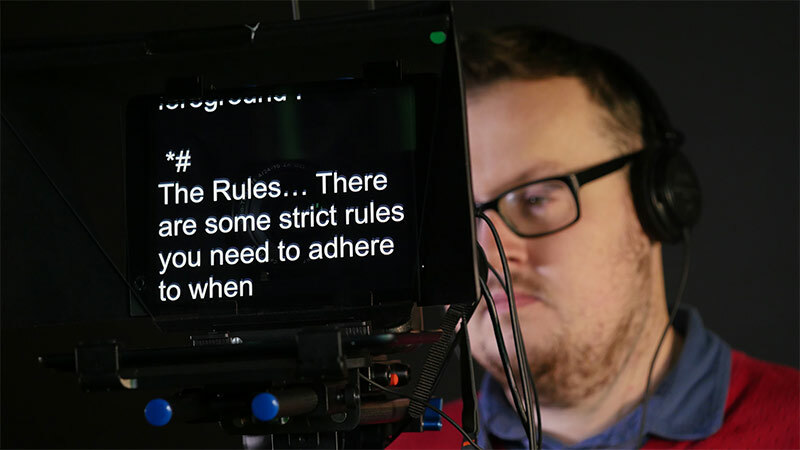 Using the Datavideo TP-500 DSLR iPad mini prompter with the Datavideo WR-450 Bluetooth remote control. 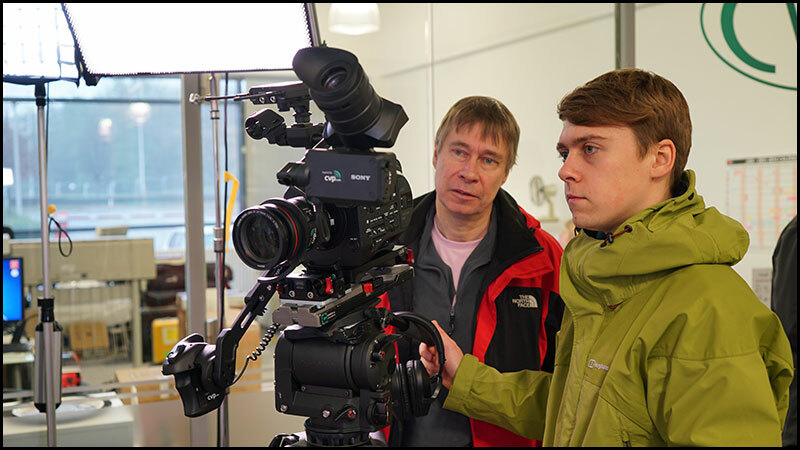 Nigel with my prompt and Tony using the new Panasonic HC-X1000 4K camcorder. 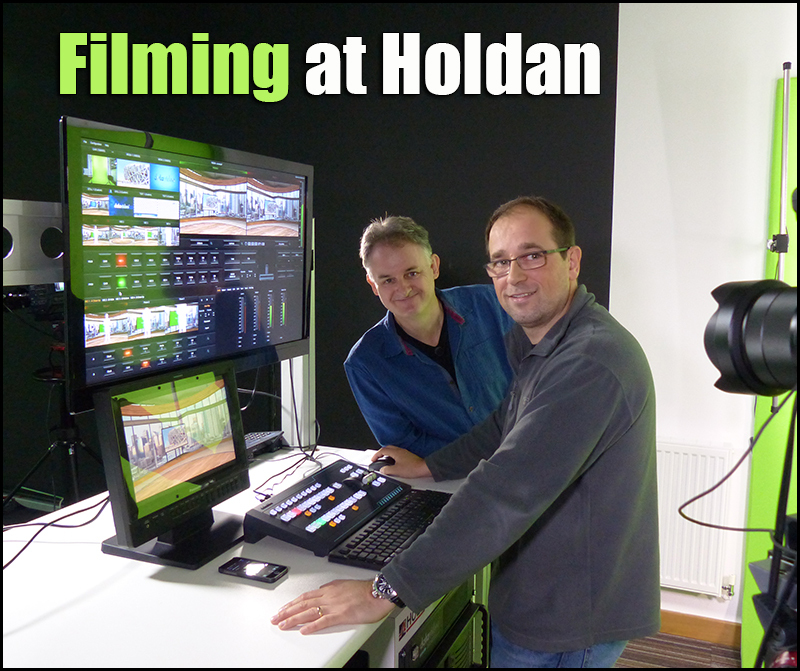 I must thank Nigel and Tony for their help over the last 3 days and for everyone at Holdan who were very accommodating and friendly. 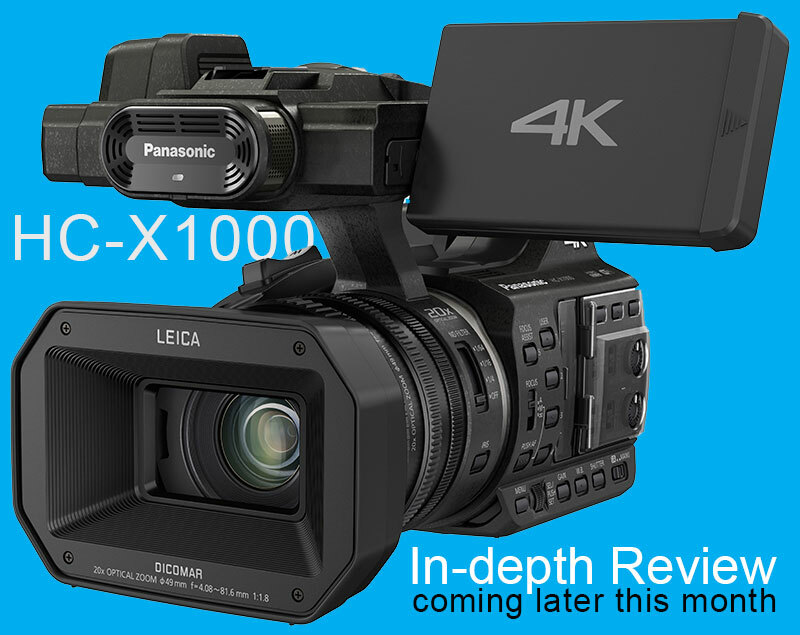 The new Panasonic 4K HC-X1000 is just arriving on our shores and HD Warrior will receive one of the first production models to review. 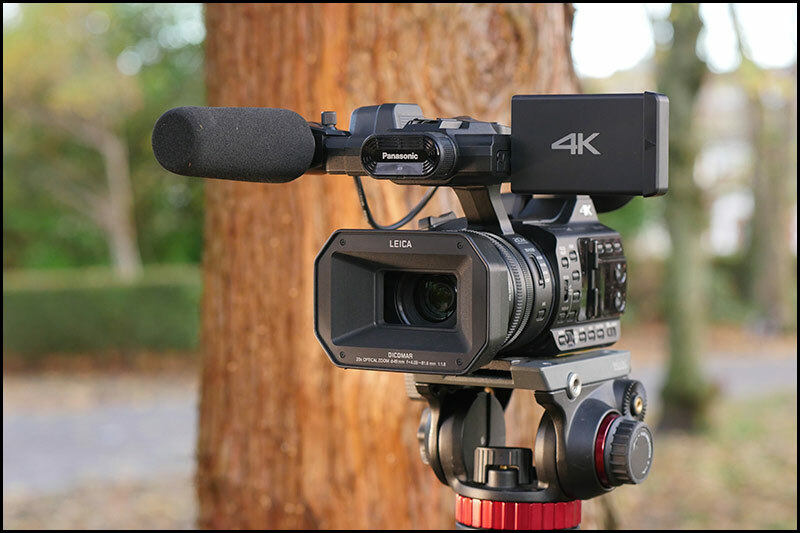 The HC-X1000 is a 4K camcorder supporting various recording formats, like 4K/Cinema 4K/Full-HD, frame rates including 60p/50p/24p and a host of professional functions. 4K 50p is a spectacular achievement for a camcorder running onto SDXC cards. (Class 10 speed 3). It will be interesting to see how much time you get onto a 64G card. UPDATE : The camera records 4K at 150MB/s therefore a 64G card will record 40 minutes. This is the lens most associated with the new Sony PXW-FS7 its the Sony “G” 28-135mm f4 G lens, I will assume the 28-135 is a full frame figure so taking into account the 1.39x crop factor on the Super 35mm sensor the FS7 will have an angle of view of 39-187mm (35mm equivalent). 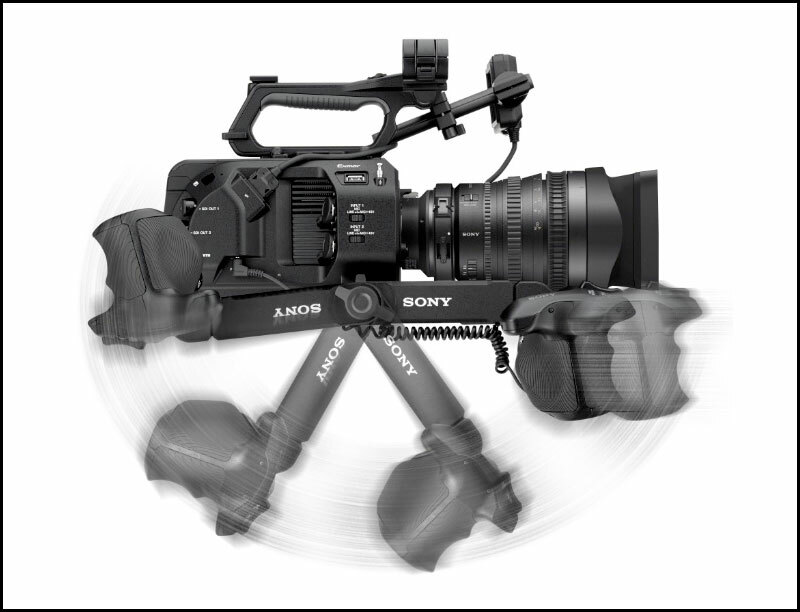 The ability to zoom is built into the FS7 with this interesting servo zoom control, personally Sony have hit the right sweet spot by finally delivering a 4K camera that has a servo zoom facility. 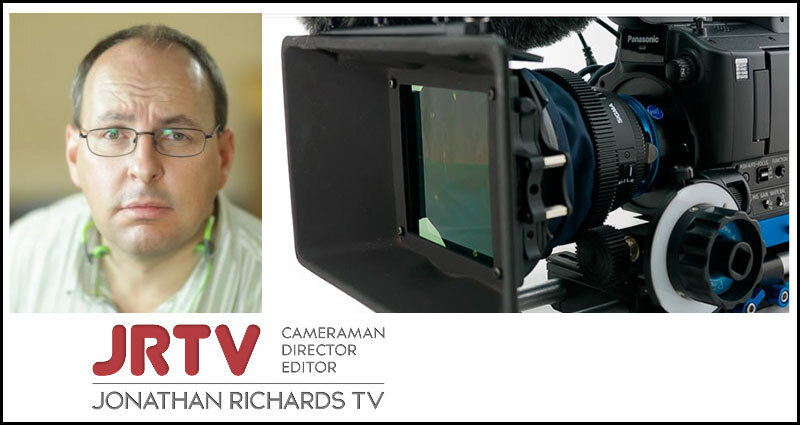 Far to many cameramen and women have avoided the large sensor market because the cameras take them well out of their comfort zone, having a servo zoom not only enhances the FS7 but allow it to be used in run and gun situations…a major bonus. If you buy the camera with the lens it works out at £1550 more but buy the camera without a lens and purchase it at WEX it will cost you £2300 thats a whopping £750 more for the same lens. Because of the Super 35mm sensor you have a far wider range of lenses and lens mounts for the FS7 lets look at some non servo alternatives. 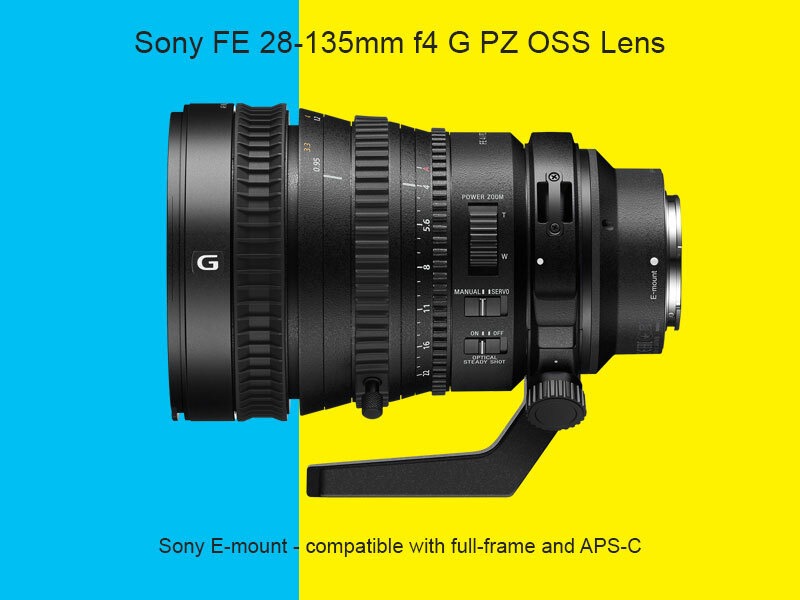 The first thing you need to consider is the crop factor (1.39)…if you buy a full frame (FF) lens like the Sony FE 24-70mm you will need to multiply the focal length by 1.39x for a 35mm equivalent…the FF 24-70mm will have a 35mm equivalent of 33-97mm. The Sony E 16-70mm although made for an APS-C sensor still has a crop factor of 1.39. This comparison chart from CVP explains how each sensor size has a different crop factor. Multiply a lens’ focal length by a camera’s factor to get the focal length of a lens which, when used on a full-frame or 35mm film camera, gives the same angle of view as that lens does on that digital camera. A 100mm lens on a 1.39x factor camera shows the same area of view that a 139mm lens would show on a 35mm film or full-frame camera. 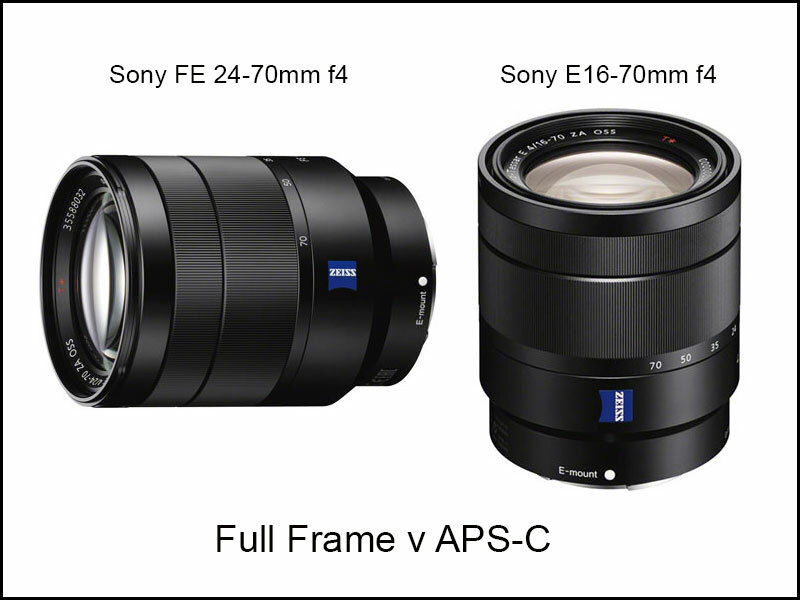 Sony have completely confused the “E” marketplace with FF and APS-C lenses…why did Sony not make the A7 range of cameras “A” mount, this would have made far more sense and given A7 owners a far greater range of FF lenses. The Zeiss 35mm PL lens is still 35mm no matter what camera you mount it onto but the sensor size dictates the crop so on the FS7 (Crop 1.39 for a Super 35mm sensor) the 35mm prime lens will have a 35mm equivalent of 48mm. 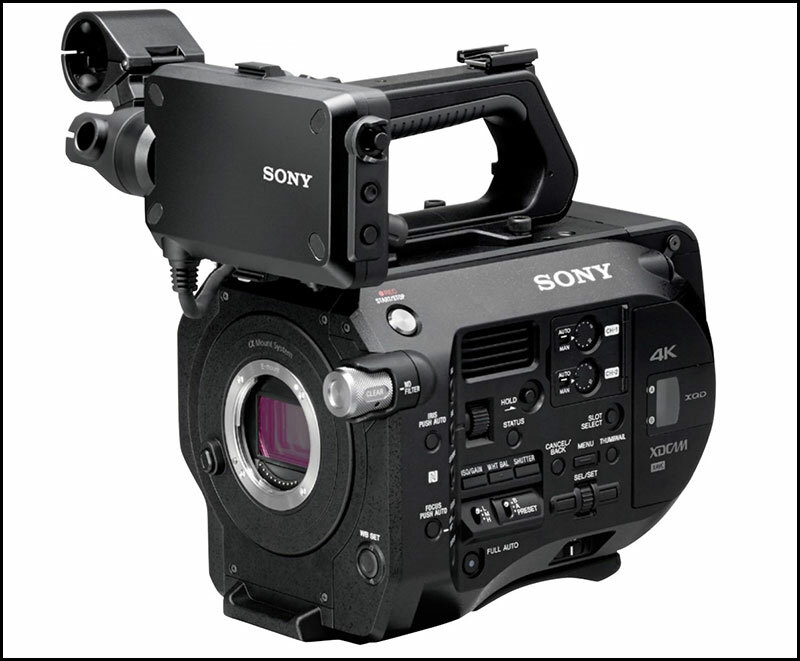 The Sony PXW-FS7 will tick a lot of boxes including the servo zoom 28-135mm f4 lens, I am not so sure why Sony are insisting on bringing out so many constant aperture (CA) f4 lenses when they have a range of good CA f2.8 “A” mount lenses on offer though you will have to factor in a lens adapter and a 1.39x crop. The Sony PXW-X180 has both Intra and LongGOP as part of the XAVC codec. I have become a big fan of LongGOP with its 1080 50p 50MB/s stunning picture quality. I decided to go down to the Kelpies at Grangemouth to film the enormous steel statues, this would give the camera a good run-through. I love the ability to hook up the new hybrid radio mic system powering the receiver directly from the camera hot shoe. 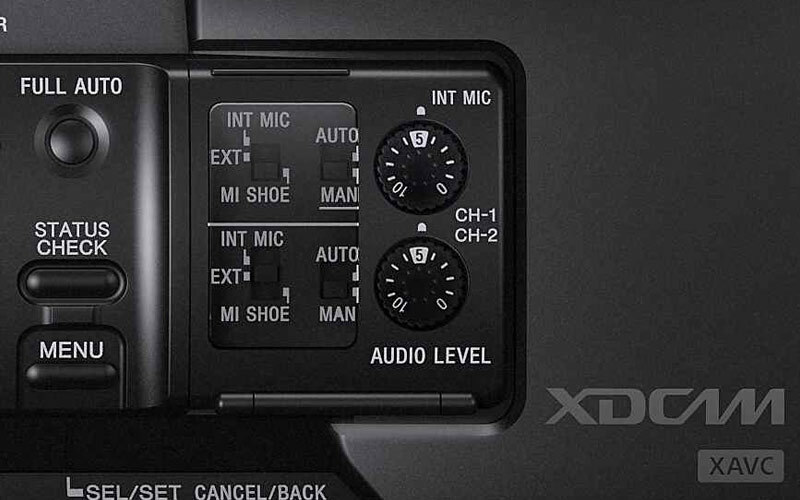 Switching the input to MI SHOE gives you full control of the radio mics input making this camera very useful for press conference work. The quality of the XAVC codec cannot be denied its one of the cleanest 1/3″ sensor camera’s on the market though at 9dBs you are starting to see noise but this has to be expected. The ability to use SD adapters in this camera is a bold but welcome move for Sony although no one can deny the robustness of the SxS card its a step too far for some production companies who have a lot of long haul footage and want a cheaper alternative to the expensive SxS media. 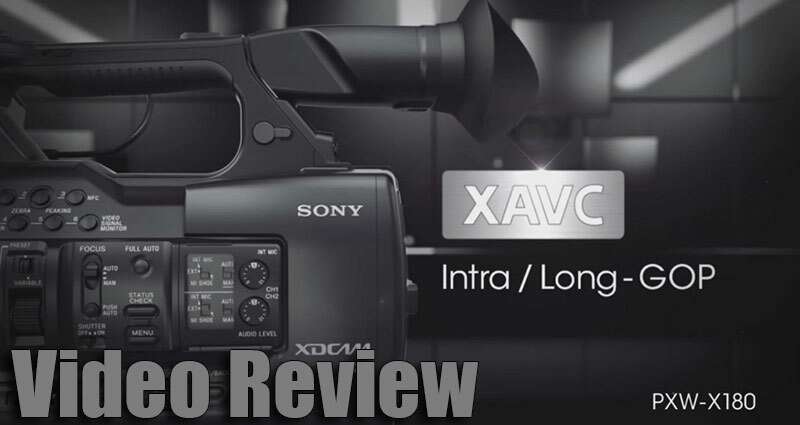 Sony PXW-X180 Video Review from Philip Johnston on Vimeo. I’ve had a very busy summer shooting a television documentary for Aljazeera English. I can now reveal that it is called My Digital Addiction and it is part of their new autumn Correspondent series. The channel gives each correspondent an opportunity to pitch a story for development into a feature documentary. The Correspondent Series is in it’s third season and this year, Aljazeera are premiering my documentary at the first in the series. It’s about our addiction to our phones and the internet and features the correspondent, Phil Lavelle, as he explores the topic and undergoes a very unusual digital detox in a camp in California. It was quite an extraordinary ride shooting it and making a compelling story fit into 48mins. It’s been a huge amount of work and I’ve really enjoyed shooting and editing the film and seeing it come into shape over the last few months. Many thanks for taking a look and please forward this email onto people you think would benefit from understanding about the modern day addiction we all seem to be suffering from. Did you know, it’s a chemical addiction? Find out more on Thursday! Aljazeera English – My Digital Addiction Trailer from Jonathan Richards on Vimeo.